8Khs is it worth it ? This is a question that is regularly asked by Deus user. Optimal operating frequency falls into several different brackets, most people think it is just to find bigger targets deep, this is only a part of the story. The Deus will go deeper on bigger targets, mainly due to the enhanced ground balance range lower frequencies offer, you will still find small targets such as hammered coins when using 8Khz, but you won’t be hearing as much ground noise or feedback, this can give the impression that the machine is not working as good as higher frequencies. As mentioned earlier, lower frequencies have a much more forgiving ground balance range, so they can be an advantage when searching on mineralized soil. Some parts of the world have very difficult soil, not so many years ago all VLF metal detectors were around 7Khz and fantastic finds were regularly made, especially very important coin hoards. Target orientation plays a very important part with VLF metal detectors, would you believe that a machine running on high frequency can completely ignore large coins on or just below the surface depending on their orientation. Lower frequencies overcome this common VLF problem much easier. This is a Grey area and everyone has their own theorys, a lot depends on target conductivity and orientation in the ground, large Silver coins are very highly conductive so they will be easy prey for the 8Khz, as will nice artefacts. One last thing worth mentioning is the ability to recognise Iron, lower frequencies will always give you an advantage when identifying large or mis shaped iron. There is no real cut and dried answer because there are so many different metal detecting scenario’s, as a rule I like to use higher frequencies if the soil is contaminated with small iron, depth is not an issue here because the iron has ruined that. On cleaner soil, especially in wet conditions I use a lower frequency. 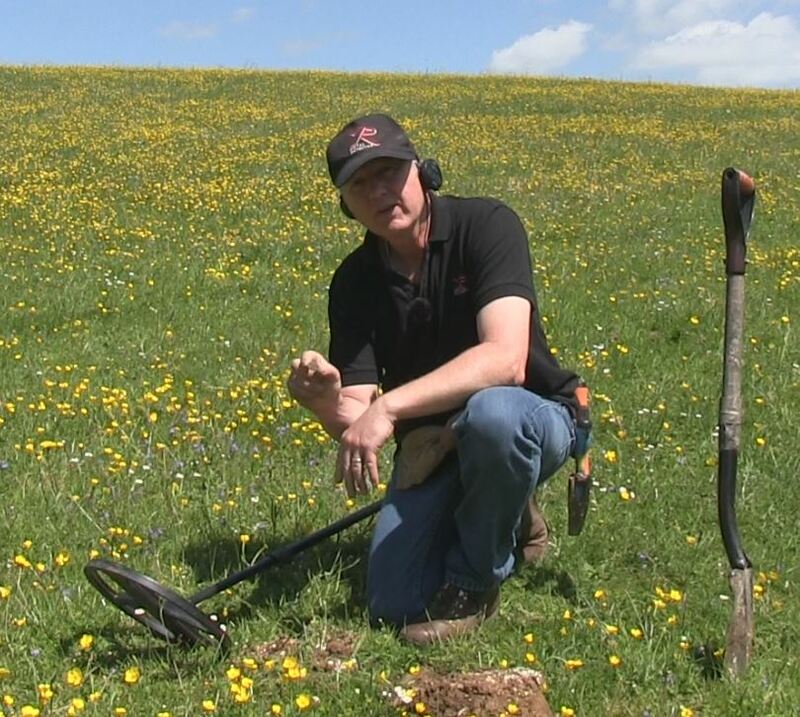 Here is a short video showing the advantages of using lower frequencies for coin shooting on pasture.